Customers have allowed us to share these comments on our website about their CMS online experience. Somthing to mention, every customer below came from online. As always, a positive online powersports envoirnment is our main focus! Naturally, we were happy to post our hard work compliments. Join the family today and save $100's if not $1000's on your next motorsports purchase. We have helped literally hundreds of thousands of customers over the years. We will help you get there! "Families who Play Together, Stay Together"
Want to share your experience? Please complete the form at the bottom of this page. We're here and we listen! Especially if your experience needs attention! David M Baton Rouge, LA - Zak in Tech Support is an absolute assett to this company. Ordered my daughter the CMS Classic 150 for Christmas. On the Friday before Christmas I tried initiating the start up process of the machine and could not get the bike to start. After about an hour of conferring with Zach in tech support it was discovered the main gas line was crimped disallowing gas flow (No fault to CMS). After a simple process that took less than 5 minutes the problem was fixed and the bike starts up and runs wonderfully. My main reason for writing this testimonial is to let people know that the people in this company are dedicated to serving their customers. If the problem could not be fixed at the time Zach was going to come in on Saturday morning, Christmas Eve, to continue to resolve this problem. Thank goodness it didn't have to come to that. Thank you so much Zach and CMS. Your incredible prices as well as your customer service helped make my daughters Christmas one of the best ever. You guys are great. John C. Schatte, Houston TX - Just wanted to let you guys know I received the 250cc scooter & I'm more than delighted!!! It runs like a dream, is pretty quick, and Delilah, you were right, the silver was the way to go! Thanks!!! Once again Jesse, I have to commend Delilah on her professionalism & tenacity while dealing with me, ensuring that I was satisfied. She was great!!! Just waiting on the title, which I see was mailed out today. Again, thank you guys & I may have sold one to my neighbor as he's pretty keen on it! Robert C Halstead, St. Augustince FL - I talked to john nelson last evening and I am happy to say that today I ordered my new VM Phantom Moped 150cc - Limited Edition Scooter ( MP 4015 ). Funny part was Justin called me about 10 minutes before i was going to call him and place the order. He was very professional and answered all of my questions. I most say the last time I bought a scooter which was at our local scooter shop, i felt very pressured to make the purchase. This time everything just seem to fall into place which made my purchase so much easier. - Thank you again. Also, I found your web site by yahooing 150cc scooter four sale and ours was either first or second to come up. Also, the dude that follows the mouse on your site is a blast... .I love it. Wade Herron, Bentonville AR - "Thank you Wayne. I found one at the local Honda dealership. I will try it tonight and let you know. I must say, you have great customer service at CMS. You have my business for life and thank you. Tell Carrie (if she remembers me) thank you. She was a great help when I ordered my daughter's 110cc rig despite a few non-CMS related issues. " Amy Holtz, Santa Rosa CA - I decided to use Countyimports.com over other internet sites because a physical store is available, nice hosest folks to talk to, and a mission statement that talks from the heart. Allan Griffs, OR.... I must say that you have the most detailed and user friendly site I have ever seen. Professional and first rate all the way. Benson Eyles, Hampden ME - I placed my order online and was thrilled with the speed and simplicity of your web site. Steven Donaldson, Corning NY - Website and rep was very helpful and your prices are great. I've shopped around for the last six months and you definitley have the best prices! Kathy Huntly, Bay City MI - "I received my scooter, I am very pleased with the product, It is all that they said it would be and more, yes we would deal with County Imports again!" Andy schnieder, Park Hills KY - My online experience met my expectations and CMS' prices were unmatched! Can't wait to ride! Can't wait to ride my Moped! Everything arrived as indicated, brand new and damage free, I am a 150% satisfied customer! Len Canciamilla, Brentwood CA - I bought a hensim 250 from a friend I use it around the farm a real work horse. I am getting ready to purchase a new one but cannot decide which yet. Daisy Teunge, Stillwater MN - This Site is wonderful I love the selection and can not wait to get an ATV from you guys! My friend got two kids ATV's from you guys and they love them. Timothy Howard, Cheyanna WY - JUST BOUGHT TWO ATVS - ONE FOR MY SON AND ONE FOR MY GRANDDAUGHTER - THEY BOTH LOVE THEM! MY DAUGHTER AND SON-IN-LAW ARE SAVING FOR TWO NOW - THROUGH THIS COMPANY. THANKS CMS! Sandy Kenyon, Milton WI - You guys are wonderful! You have great prices and easy to read website! Thank you! Dan Newbern, Brandford FL - Hey guys! This is one of the best(if not the best)site's i've seen! Keep up the good work! Billy Flemming, Shasta Lake CA - My wife and I purchased a scooter a couple of weeks and love it! Now we are buying a second one so that we can ride together. Sondra bennett, Ripley MS - You guys were great and answered all of my questions Excellent customer service!!!! Jim Everet, - McLeansville NC - Mark was very helpful on the phone. This is my first (two) dirt bike. He offered his help in assembly and I probably will use it, great tech support guys! This is why I chose you! Lisa Maurice, Clinton CT - Very easy website to use, looking forward to getting this bike for my son for Xmas! Mike Pottier, Belle Plaine, MN - A few bumps in the road with shipping but fast and friendly service and all was taken care of. I have already recommended you to many! Jake & Jess, Tucson, AZ- Jesse's sense of customer service is next to none! His availability and willingness to answer our questions and help us make last minute changes to our order made the entire process simple and easy. As a student I couldn't be more pleased with County Motorsports! CMS prices, they are UNBEATABLE! We look forward to making more purchases in the near future! Thank you Jesse! Jason Campbell, Taylorsville, MS - "Ya'll had the best prices I found on-line. Keep up the good work." Jason Patterson, Alma NE - I like the prices, I hope I like the overall services that you provide! Rita Antley, Hahira GA - I appreciate all of your help....You made shopping for a new ATV painless. I would definitely recommend you to family and friends. Brett Kinney, New Cumberland PA - "I just wanted to send you an email about how pleased I was last evening working with one of your Live Chat marketing reps. She was tremendous! I am new to scooters. She took the time to explain to me all about scooters and answered my every question. She was quite knowedgable of your products and your competitor's. 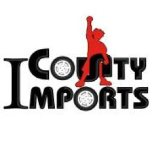 Even though I saw the same scooter at another site at a lower price, I chose to go with your company because of the service delivered by Carrie and the great support structure I believe I will receive from CountryImports." 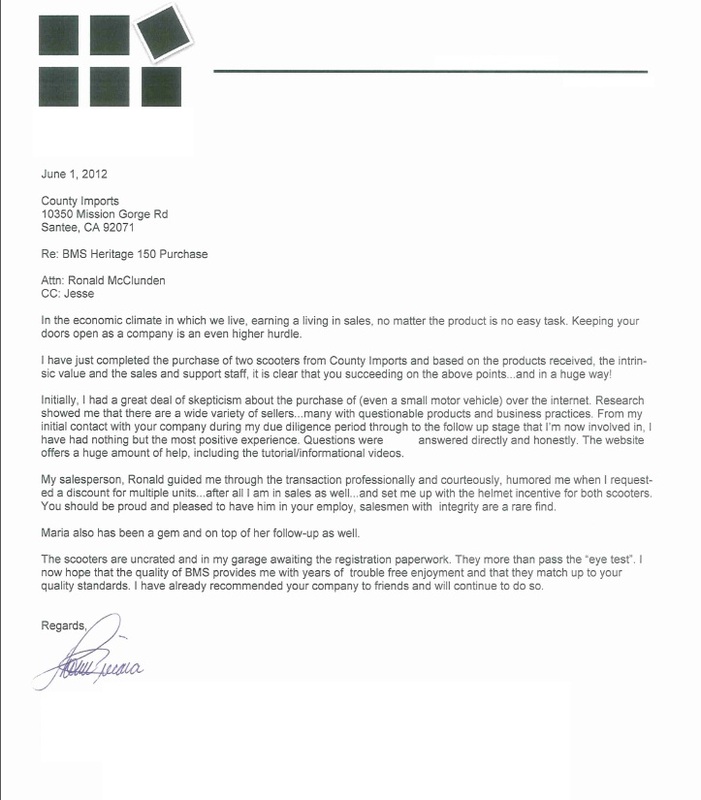 Michael Tompson, Hastings MN - "We are repeat customers. I would recomend CMS & I have, every chance I get, to friends, family & total strangers, everytime my wife & I are stopped and asked questions about our Mopeds." Russ Clark, Baltimore MD - "Keep up the good work. I especially like the animated photo of the Customer Service Rep in the upper right hand side of the screen. Very personalized service! - County has the most intuitive and friendly website among all ATV/Scooter sites." Anthony - "Great site once you find it. Best prices anywhere, before the cupons. Great value found here." Tyrons Sasafrass, Baltimore MD - "Thank you for ever thing that I have experince on your web page it was not hard at all and in the future i be getting more stuff off your web page." Awndre Baize, Talequah OK - "...you guys have a good selection great prices and are just about the only website that finances. But need more invetory." Christopher Johnson, Goleta CA - "this place is great! the prices are unbeatable (trust me, i did my homework)"
LARY MACHA, YOAKUM TX - "I COULD NOT HAVE COMPLETED THE ON LINE AS EASY, WITH OUT THE LIVE HELP ON LINE. THANK YOU! WITH OUT THE HELP I RECIEVED FROM THE LIVE HELP LINE, I COULD PLACE AN ORDER ON LINE AS EASY." Craig Fowler, Las Vegas NV - "7 days a week availability of your staff is 100% cool!" Anna Gallo, Levittown NY - "Now I can finally get my daughter the atv she wants thanks to country motor sports pricing"
Matt Stockton, Cortland OH - "...easy shopping for what I wanted and will gladly recommend you to anyone looking to purchase a quad." Albert Smith, Long Island NY - Jessie, Thank-You! Your support over the phone yesterday was outstanding, I really felt like I was talking to a life long friend! The reason I had trouble starting it was because I didn't have the back foot brake depressed as stated in your help page. My sons got a real sense of accomplishment on the assembly, so far this has been a very positive experiance which I would like to repeat. Keep in touch with those "special offers"! Ron Howard, Eagle NE - "We really like the bikes, we take them camping for getting around the areas"
Lynn Zebonia, Peroria IL - "I love you guys, Great price!" Greg Dean, Slidell LA - ... also like the fact you are a vet. and you really sold me on the fact you sound like you care about the customer. Peter Magdelano, Greeley CO - "Great Online Site, super sales service, ordering online from your site was veery easy I was ordering two of your new ATV's that you just put out for spring. Your sales man was very helpful in answering all my questions and helped me place the order with ease"
Tyler Michael, Malta NY - "..oh my, your company is the best with prices. there is so many other things i could say about your site. WOW. sweet!!!" Don Berry, Farmington Hills MI - "Keep up the good work! Liked everything I saw! I wish I had more money to spend." Tina Pittman, Chinchula AL - "24 Hours Phone Service!, Jesse was a great Help. Can't wait to get our new bikes!" Brandon Stranieri, Bristol CT - "Great product for the price. Can't Beat 1200 dollars for a 150cc Quad plus accessories!" Chad Tschida, West Richland WA - "free shipping was one of the deciding factors for buying from you...I searched many sites and CMS had the best deal of any of the sites to buy an atv." Jamar Ragin, Clinton NC - "...The purchasing experience was the best I have seen.. And the prices are AWESOME!!!!" Taby Hoyt, Tucson AZ - "I am very happy with the customer service!" Darin Zemmer, SLC UT - "..Had us covered on every base. Nice to work with a company you never meet in person that treats you like a real customer!" Jan Willett, Great Falls MT - "I have come back three times now after my first purchase. I was nervous and they came through with what they promised. I need that when I buy online, a company keep me up to date on progress, Thank you!" Donna Slee, Budd lake NJ - "Customer service could not get any better!" Bertha Macias, Humble TX - "my sales rep was very helpful and should be commended for his great job. I appreciate his service thanks again!" Josh Macaby, Houston TX - "..spent months searching and finally found a place that has everything I need. County really took care of my needs. When I had an issue, they were there to resolve it for me. A+"
Elliot Scheck, Houston MN - "....took a while to find the right item, but once I found it I realized the prices were better here than anywhere else I saw!" John Mickimmy, Cincinatti OH - "my sales rep was a great help....so far so good!" 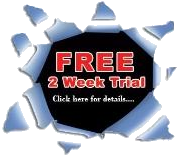 Leobardo Solorio, Sanger CA - "..Your website is easy to use, great job! Hensim has done a nice job on thier machines..."
Dana Manly, Warrenton VA - "Ordering the ATV was extremely easy. Everyone has been very helpful." Kenneth Rudd, Milton WI - " (just ordered today) but easy to order from, fast response and easy ordering." Ariel Gagante, Middletown RI - "CUSTOMER SERVICE IS VERY NICE AND PLEASING TO CHAT WITH, GOOD OVERALL KNOWLEDGE WITH THE PRODUCT, ONE AWESOME EXPERIENCE!!" Erik Smith, Bornx, NY - "Shana, why you aren't the one running the company blows my mind, =-) you seem really care about the customers needs. Thank you so much for being helpful. 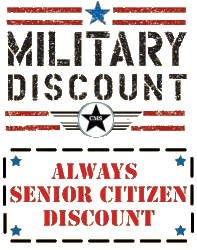 I really appreciate it tremendously"
Michael Casatelli , - "ITS A NICE THING WHEN YOU DO BUSINESS WITH PEOPLE WHO CARE,''YOU CARE''THE BILL OF SALE IS COMING TOO?HAVE A GREAT WEEKEND, SEMPER FI, MIKE"
We sincerely appreciate your business! We strive to satisfy all customers whom join our special family. Our goal is to provide the lowest cost family fun available in the USA. We feel we have done a great job always giving 150%. Please share your testimonials with us! When your complete with your testimonial, we will auto email you a code for free bids at BidPunk.com with $25. Our way of saying thank you. RSS - INTERNET LINKS - Here are some links we have found on the internet of customers complimenting our hard work! Feel free to check them out! More to come!